When may you park your vehicle over a fire hydrant? When may you park your vehicle over a fire hydrant? When may you park your vehicle over a fire hydrant? If someone can move the vehicle immediately you may park on or closer than 50cm to a fire hydrant. A fire hydrant is a place where the fire service can draw water from the city supply to fight a fire. They are most commonly a rectangular yellow plate in the ground under which a hose can be connected. In the diagram above the yellow rectangle represents the yellow plate, or lid, and the circle is painted with an outside diameter of 1.2m and a line width of 100mm. Fire hydrants are often marked with a blue road stud or cat's eye, and fire officers know to look out for these. The cat's eye might not be on the road; it could be on the pavement or edge of the road. Look also for a yellow arrow (600mm on the long side and 450mm on the base) painted on the road pointing to the fire hydrant. 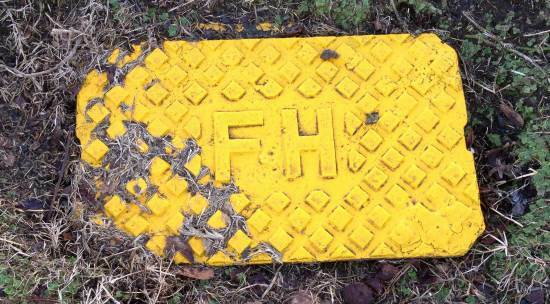 You can also frequently see fire hydrants on pavements and grass verges, for example, the one shown below. You can park your vehicle up to 500mm (50cm) from a fire hydrant as long as there are no other parking restrictions. However, if you want to park closer than that, or over the hydrant, then someone who can move the vehicle will have to stay with it otherwise it could be towed away. A fire hydrant on the road is marked by a 1.2m diameter yellow circle which contains the rectangular hydrant lid. There might also be a yellow isosceles triangle pointing to the hydrant. Hydrants are where the fire service can get water from the mains supply. It helps when fighting a larger fire as there's only a limited amount of water a fire engine can carry.